King Scott Walker wearing his crown. Oh wait. That’s just a bald spot. Although this post isn’t directly about wildlife it is about those who are behind the relentless assault again it and our public lands. What got me thinking about this topic was the whining and crying this week from the extreme right wing in the wake of the Supreme Court upholding most of the Affordable Healthcare Act. The same right wing that declared themselves invincible at the beginning of the month after the June 5th recall cried to no end after Chief Justice Roberts sided with the court “liberals” to keep the law in place. The usual suspects like Speaker of the House John “The Orange Man” Boehner, Wisconsin’s own Paul “Throw granny off the cliff” Ryan, and GOP Presidential Candidate Willard “Mitt” “I hate dogs” Romney all came out vowing to repeal the healthcare law. Can you believe the nerve of those Liberals?” Wanting to make sure everyone has access to affordable healthcare so that they can live long and healthy lives. How un-American! Then we had the usual cascade of extremist right wing governors from across the country refusing to implement the law in “their” states. Of course right out of the gate who had to be the first in line to refuse to follow the “rule of law” that “conservatives” care so much about? You guessed it, our very own anti-enviornment, anti-wolf, anti-woman, anti-choice, anti-clean water, anti-public worker, and anti-poor people even breathing Scott Walker. This declaration came after Walker hinted this week that he may mess with the hugely successful Wisconsin Retirement System. Where does it stop with this guy? Better yet why are people so enamored and supportive of him? Normally I would attribute this the the phenomenon of the “Cult of Personality.” The problem is that you really should have a personality to have a “cult” following you. I am having a hard time finding anything like that with Walker and his cronies in the Wisconsin Legislature. Can someone please tell me what endearing qualities this guy and his ilk have? I just don’t get it. Wisconsin is full of dullards like Walker throughout our political landscape. From my point of view Walker has zero personality, charm, or otherwise likable traits. So why does the right wing consider him to be a “rock star?” The right wing trolls are even talking about this guy running for president in 2016. And you thought Romeny was a boring robot? Look at the other big names in Wisconsin politics and you either get even bigger dullards or flat our sociopaths. Take for example the state Republican Assembly Majority Leader, bear hounder shill, and ALEC water boy Scott Suder. Your would expect some charisma from a major party “majority leader” but nope. A stone exudes more personality. Then we have people like the “wolf marinating,” polluter protecting, and kill everything Joel “Ribeye” Kleefisch. Seriously? This guy is allowed to write laws that affect the rest of us? Finally we have the blowhard of all blowhards: Glenn “single parents are child abusers” Grothman. This guy made the comment that “money is more important for men” when trying to explain his bill that stripped the rights of workplace discrimination victims to sue in state courts for damages. What? Of course all of these people were considered “authors” of the Wisconsin wolf kill bill. These are the people that we let shape our future fellow Wisconsinites. These extremists are the ones our neighbors decided to allow to continue their scorched Earth policy against the environment and workplace rights. Some people are surprised that a once “progressive” state like Wisconsin has been taken over by such right wing extremists. I am not. This is the state that also brought you Joe McCarthy. One would expect that the state could at least provide extremists with some level of personality. Instead we get so called “leaders’ who are as dull as a box of rocks or flat out sociopaths. 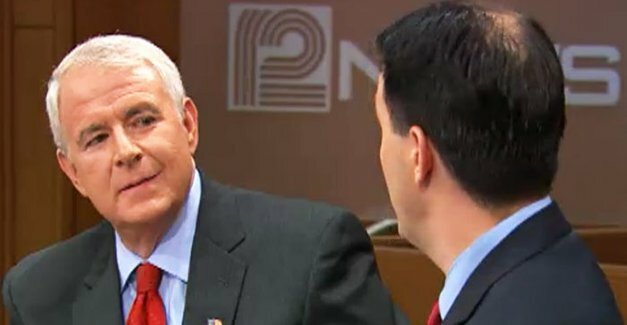 When is Wisconsin going to realize that the rest of the country is not laughing with us, they are laughing at us because we allow people like these to be in charge? Cult of personality? It’s more like the cult of a lack of personality. These are strange times for sure. We have one party that is anti- everything, wildlife, people, and it is obvious to everyone but the people who are all too willing to vote against their own best interests by voting Republican that these Republicans just don’t care about regular people. You mentioned Joe Mccarthy. The Repubs were exiled for forty years because people realized that they were incapable of governing for all the people. That is coming again. This anti- health care hysteria happened before. In the 60’s there was the same response to Medicare and Soc Sec. These people hate the idea of helping our common man. It goes against the every man for himself ethic to which they aspire. We can focus on electing politicians who share our conviction for clean air and water, fair and ethical treatment of wildlife, and health care for all our citizens, not just citizens who can afford it. I emailed Kurt Thiede about the wolf bill after receiving a half hearted generic reply to my email that I sent him. I said that the wolf bill reflects poorly on hunters and wildlife management in general. The bill shows their lack of responsibility for being good stewards of the environment that the public expects. Thank you again for a really great article. You get right to the heart of what’s the matter with Wisconsin. Cable had a movie called “Children of Men” last night. Very scary movie about the future of society. Ignorance leads to destruction. Kleefish and Grothman will fit in just fine– let’s throw in Imhof.